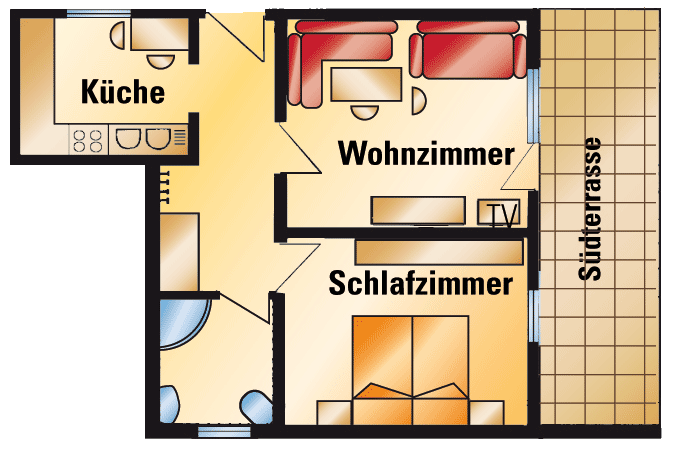 Our comfortable 3 Stars Apartments are arranged in a classic Tyrolean style with a full kitchen each, for you to use anytime. 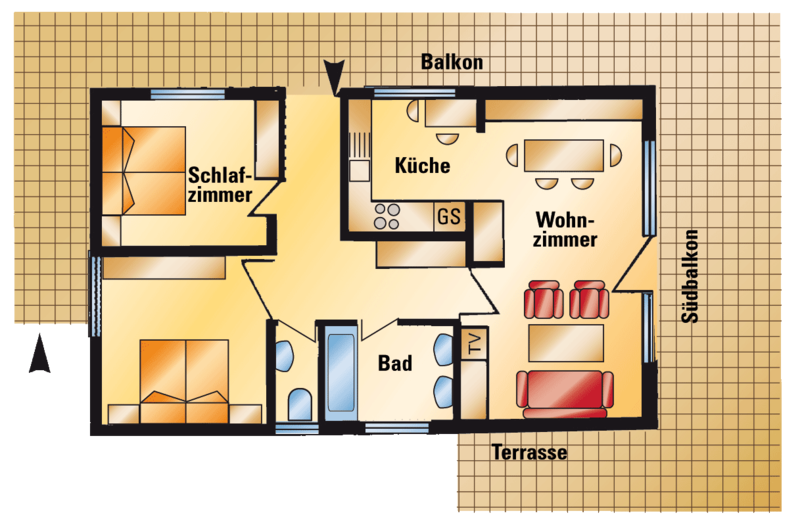 This is an almost private Chalet having only 2 apartments, so you can enjoy yourself better in a less busy area, with its own garden and garage each apartment and an amazing view to the beautiful millennial ski resort in the Tyrolean Alps. Your apartment is located in the heart of the forest, in the middle of the nature having as well, fast access (less than 5 minutes) to all services by car. In summer we offer you free admission to the adventure world Alpenbad Leutasch, a state-of-the-art local water park. You can also use for free a bicycle or rolling skates to enjoy the summer in the Alps. You will have a modern sauna in-site where you can come to relax anytime, make your own opening hours as you wish. There is also a spare time activities room in-site, where you chose what to do with it, you can also leave your ski devices for next season, we’ll take good care. We make an art touch having original unique paintings all over the apartment. The whole building is covered with free WiFi. Usually, Leutasch government have a charge for you to ski, however we have fix that for you and give you the card totally for free. WiFi, fully equipped kitchen with an electric cooktop (4 elements), oven, coffee machine, electric kettle, toaster and every cookware and tableware needed. You’ll get clean linen and towels for your staying. WiFi, phone, bathtub, fully equipped kitchen with an electric cooktop (4 elements), oven, coffee machine, electric kettle, toaster dishwasher, and every cookware and tableware needed. You’ll get clean linen and towels for your staying.